Oil prices have jumped nearly 7% in the past week. But investors might want to be on the run from Exxon and other oil stocks. Oil has been rallying over the past week as the potential for a conflict in Syria rises - a conflict that could disrupt global oil supplies. Big oil stocks have moved higher as well. Yet, the upward move in prices is expected to be short-lived. Several oil market traders and analysts said now is not the time to buy energy stocks. "These higher price points for oil won't be around for a year or two. This is a relatively short-term phenomenon," said Rich Ilczyszyn, chief market strategist at iiTrader. "I would caution investors not to jump into energy stocks right now." Oil prices have spiked above $110 a barrel, jumping nearly 7% in the past week and roughly 26% since recent lows hit in April. Energy stocks, which have been underperforming the market for most of this year, have done well in the past few days. 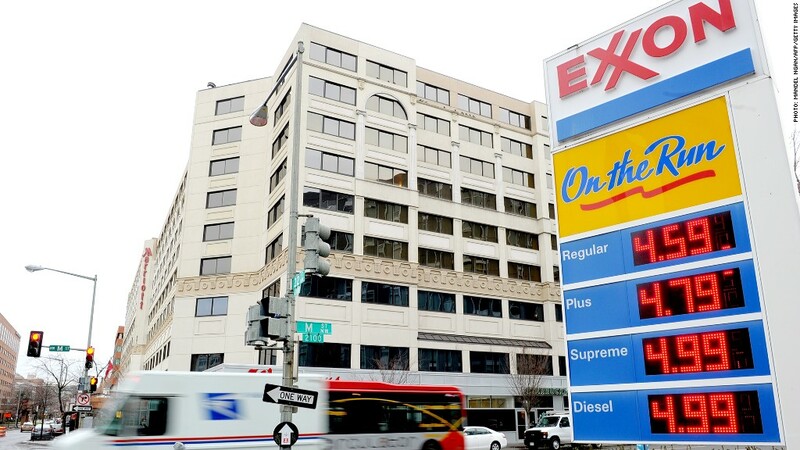 Shares of Exxon Mobil (XOM), Hess (HES), Chevron (CVX), BP (BP), and Marathon Oil (MRO) surged Wednesday. Still analysts say that the old trading adage -- buy the rumor, sell the facts -- tends to dictate moves in the oil market more so than other markets. "During the events of the last 10 years, oil prices tend to build up when there's news and then sell off," said Dominick Chirichella, the founding partner at the Energy Management Institute. "I don't think the action in Syria will be significant enough to send oil prices much higher." Ilczyszyn said much of the rise in oil prices this week has come from investors pulling back on bearish bets against oil and energy stocks rather than new buyers actively entering the market. Oil market analysts are looking beyond Syria to see whether other geopolitical cataclysms could destabilize oil markets further. As the energy boom in the United States has added to global supplies of oil, violence and political turmoil in Libya and Iraq has been weighing on global supply. "There are a lot of supply issues that have nothing to do with Syria," Chirichella noted. But even those problems are unlikely to fuel a long-term surge in prices. Experts added that the Obama administration will be watching the price of oil and gas closely. Because higher oil prices could potentially upset an already fragile economic recovery, the Obama administration can always discuss potentially releasing reserves from the U.S. Strategic Petroleum Reserve to increase supply. "The administration has worked so hard to get the economy back on its feet," said Ilczyszyn. "They are not going to let the price of oil derail it."